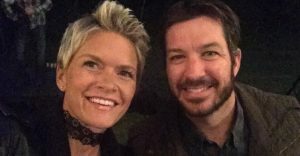 Check out this great article by Sherry Pollex explaining tips for women fighting cancer during her personal experience with stage three ovarian cancer . Human nature tends to make men feel like they always have to have the solution to whatever problem comes up, but that’s not realistic. If researchers haven’t been able to cure cancer yet, then you’re not going to get it done this week, either. Don’t put pressure on yourself. The most important job you have is one of love and support. When family and friends ask how they can help, tell them. Put your energy into embracing their love and support of YOU. This article was originally posted on Sherrystrong.org.